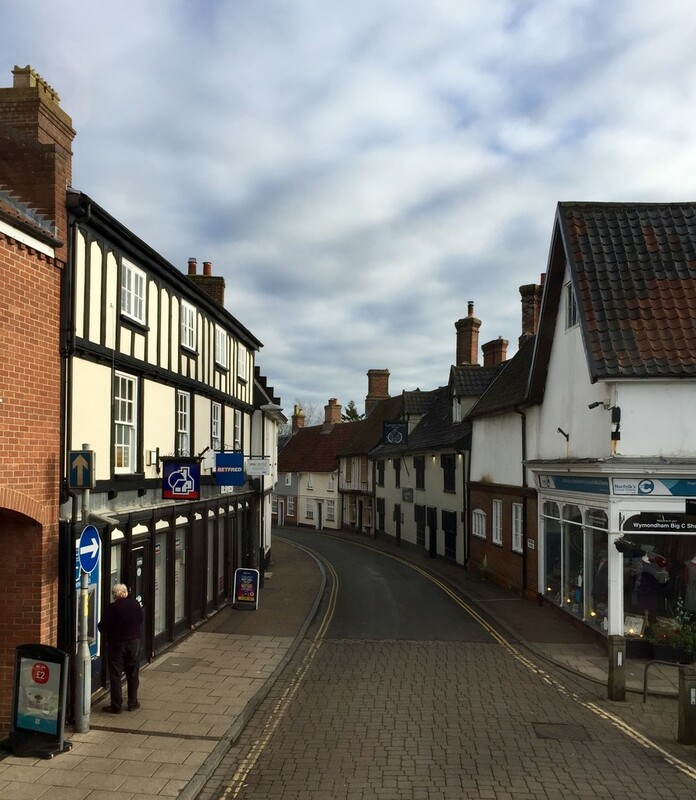 This is Bridewell Street, Wymondham taken from the upstairs front seat of a double decker bus with dirty windows. On my way to Norwich. Nice composition with the road leading you through the photo. Nice and tidy street ! Lovely leading line & street view!